Today we had our first Day Camp here at the ranch. Five hardy youngsters showed up today to enjoy a day filled with horseback fun. The rain, hail, sleet, snow, and 30+ mile an hour wind didn’t damper their spirits one bit. The horses were as ready to go as the kids today. 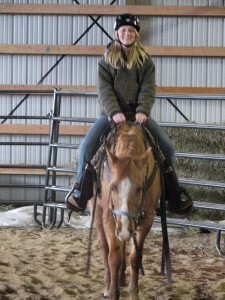 We are looking forward to tomorrow when another group of horse crazy kids comes in to mount up! This land has become a piece of each and every one of us in the Wood family. We are all so excited to know that this piece of paradise will forever remain as it is, so that our children, friends, and guests will have the opportunity to enjoy and benefit from this land. The following pictures of the event were taken by the very talented writer, Marianne Love. You can read and see Marianne’s take on this occasion at her blog, http://www.slightdetour.blogspot.com/. I love going out for a nice dinner with my sweetheart. Valentines Day is a perfect excuse to dress up a little and enjoy a dinner that I didn’t throw together in between changing diapers. When I am looking for the perfect place to go for this romantic night I look for an establishment that has great food, a quiet atmosphere, is unique, and won’t break the bank. This year, the ranch is offering a special “Recreate Romance” Valentines Dinner. If I wasn’t working during this dinner, it would be the perfect place for the hubby and I to share our Valentines Day together. 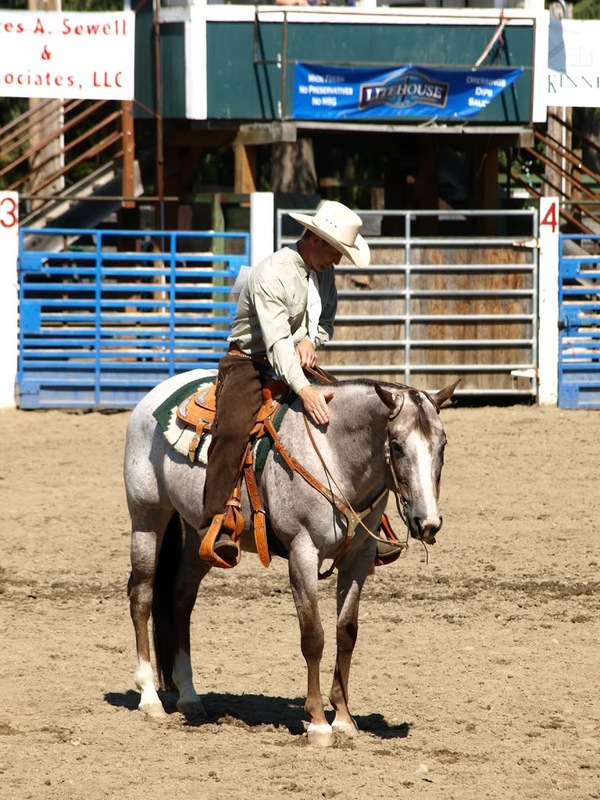 If you are looking for a place to take your Valentine this year, I recommend the Western Pleasure Guest Ranch. Not only will you experience an excellent dinner and the best of service, you can reserve a cosy room in the lodge or secluded cabin to make your romantic evening even more special. For more information visit http://www.westernpleasureranch.com/ or call (888) 863-9066. Many of you have met Brad Yunek when visiting the ranch. Brad has worked here full time as a Wrangler, Maintenance Man, and Sleigh Driver for over a decade. You have probably witnessed his talent as a trail guide and for fixing machinery while you visited the ranch. 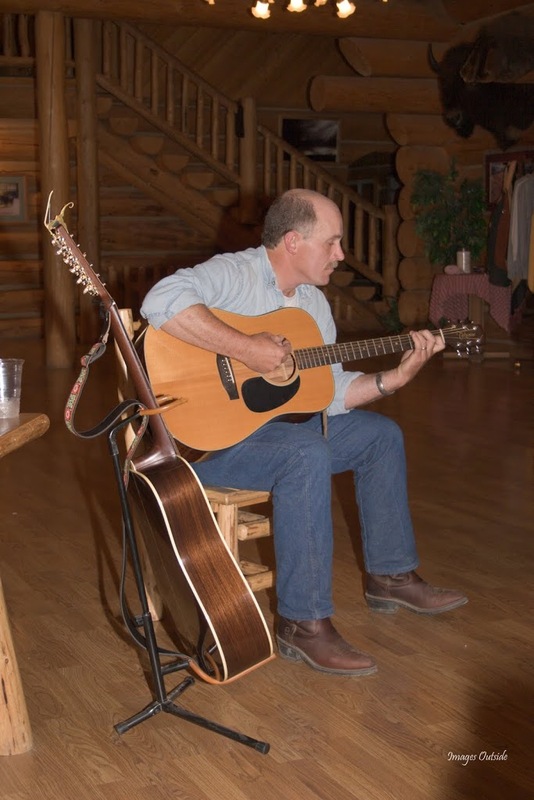 You may have even had the pleasure of listening to him play songs around the fire while entertaining guests. But did you know that he is a very talented song writer as well? He first discovered his musical talent of song writing in 7th grade. Over the years, his repertoire of lyrical creations has grown to number in the hundreds. Most of his songs are Country or Contemporary Christian, with a few comedy pieces thrown in. He began to write more seriously with the goal of becoming a pro-writer in 2004. Since then he has become a member of a few song writing associations which help him to refine his song writing skills. Brad says that his goal is to “begin to derive income from my songs through artist cuts, film/TV placements, or any other source that I can find. ” This winter he took a giant step toward reaching this goal. Brad sent four of his songs to Nashville to be cut by a pro studio. Now that he has these songs in a professional recording format, he is more prepared to pitch these songs to professional artists. I wish the best of luck to Brad in his goals. I have no doubt that he will accomplish them. If you would like to listen to the four newly recorded songs, or any of Brads other songs, visit http://www.songu.com/yearbook/songs.aspx?id=3426. For all of you who have been waiting to hear the update on Emily and I, here it is. On November 30, Landon and I headed to the Labor and Delivery wing at the Bonner General Hospital to begin my scheduled induction one week past my due date. Since Emily wasn’t showing any signs of entering the world on her own, we were having her evicted. We spent all of Monday at the hospital with me on a drug to help get things rolling. I had just enough contractions to make me very uncomfortable for our overnight stay at the hospital but not enough to encourage Emily to come meet us. heavy, warm blankets? Well that’s what it felt like. I have decided people should get epidurals just as a relaxation tool. Epidurals are pretty much amazing. At 6:30 pm the doctor came in and announced that I was ready to have this baby. The doctor exited the room to take a phone call and I tried to pull myself from my two hour long relaxation period and come to the realization that I was about to meet my little girl. To say that I pushed for 5 minutes would be an exaggeration. 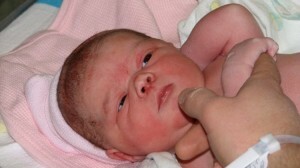 At 6:43pm Emily came into the world. 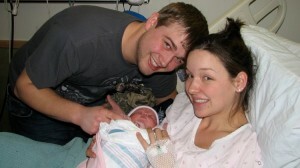 She weighed 8 pounds, 4 ounces, and was 21 inches long. we were in the hospital he commented that having Emily made him feel like he either wanted to have five more, or only Emily so she could be extra special. He couldn’t decide. He was like super dad while we were there. I did not change one diaper! Even my grandpa was impressed with the way Landon cared for Emily. The first night, he stayed up most of the night just to watch over her and make sure she was okay. He is amazing! 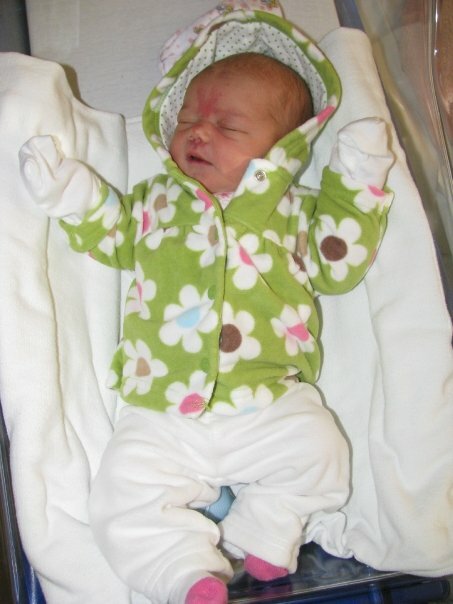 She is now 6 days old and is still doing great. Landon and I are suffering from a little lack of sleep but still going strong. 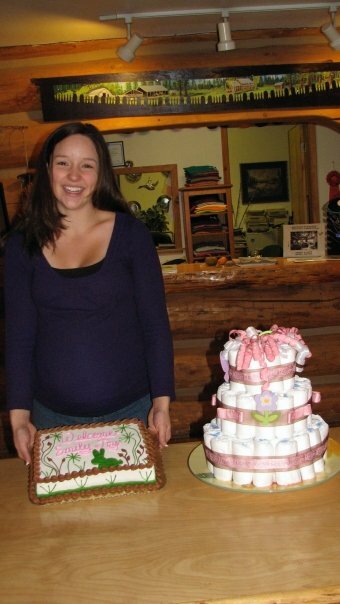 Thank you to everyone who has visited us and given Emily gifts. Your support is wonderful! with one of our horses, Joker. Not many people were huge fans of Joker, but Freya loved him and made him really work. 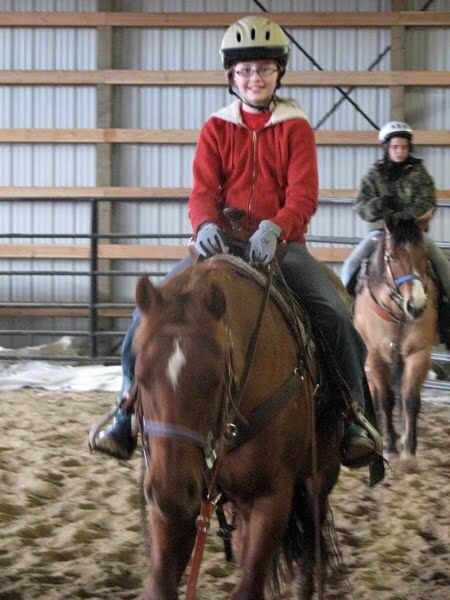 As her years in 4-H went by, she used other horses as Joker was needed in the “dude string”. The other younger horses she used were DD and Rocket. 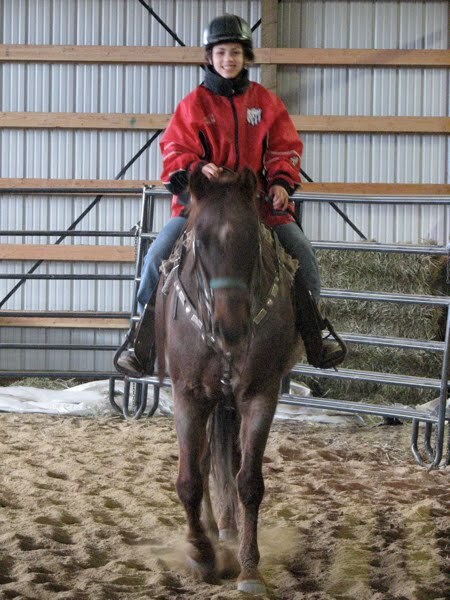 Even after a major accident at the 4-H Horse Show with Rocket, her determination to do great things with horses was not diminished. from North of Lewiston. 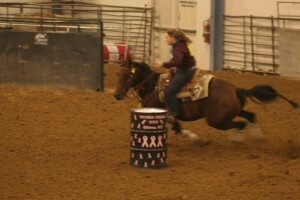 For the past year she has been traveling far and near representing and promoting Idaho rodeo. Freya’s Platform as Queen is that “anything is possible”. Freya says, “I set lofty goals for myself and give it all I’ve got to obtain them.” It is because of her faith and determination to achieve her goals that she is where she is today. Sunday, November 29, Freya and 28 other state rodeo queens will check into the Miss Rodeo America Competition at the New Orleans Hotel in Las Vegas, Nevada. 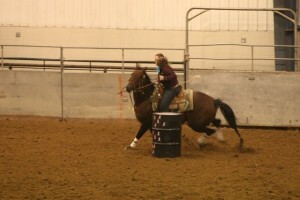 Throughout that week the ladies will compete in events ranging from Horsemanship to Speeches to a fashion show. 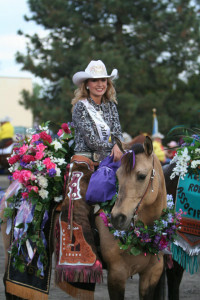 The coronation of the 2010 Miss Rodeo America takes place on December 5, at 9:45 am. America Competition. I can’t think of anyone better to be representing our great state in this heated competition. 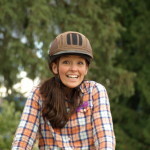 If you would like to help support Freya at this competition, text to 40841 – type ‘MISS RODEO ID’. Send a text now to vote for Freya for the People’s Choice Award. There is no limit on how many times you can vote for your favorite but it does cost $.99 per vote! 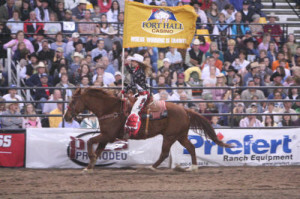 To Learn more about Miss Rodeo America and the Pageant visit http://missrodeoamerica.com. As another group of quilters pile into the lodge for a long weekend of non-stop quilting, Star assumes her position in the middle of the Great Room floor. She knows that it is her job to care for, entertain, and act as tour guide for the weekend. When I was nine years old, my dad and I headed out to the far off town of Coeur d’ Alene in search of a new puppy. We arrived at the home of the owner of two litters of puppies. One tiny fluff ball was outside of the kennel and I immediately scooped her up into my arms. The tiny puppy cuddled into my arms, happy to remain there as long as possible. 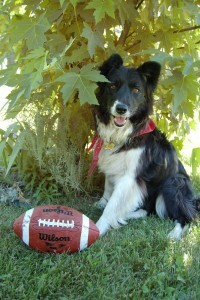 I socialized with the 14 or so other puppies but that first little female Border Collie had stolen my heart. I had decided, before ever even seeing the puppies, that I would name my new dog “Star”. So that afternoon, I brought “Star” to her new home. As the years passed, it became obvious that Star was less than interested in anything I or my other family members did. 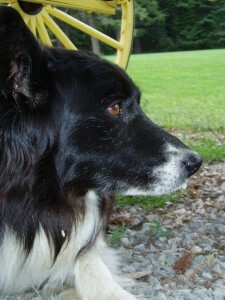 I even took obedience and agility classes with her. To my dismay, she was the most unenthusiastic participant in the class. I was nicknamed, the “cheerleader”, because of the way I had to be so overly energetic just to get Star to move out of a lazy walk. Despite my jubilant attitude, on the final day of class, Star demonstrated the full amount of her interest in agility. As I directed her to run through a long curved tunnel, she lumbered in and proceeded to lie down in the middle. Needless to say, I have not attempted to do any other such activities with Star. Star may not have an interest in competitive ventures, but she is always more than ready to entertain the guests here at the ranch. 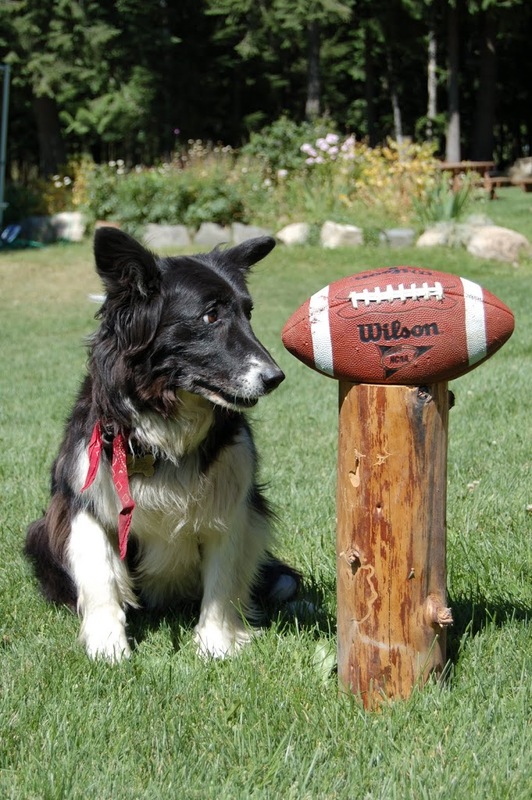 I cannot think of a more perfect guest ranch dog. As soon as an unknown car arrives in the parking lot, Star arrives to greet the newcomers and show them the way to the lodge. For those guests who stay in a cabin, they have the special treat of an adopted dog for the duration of their stay. Are you interested in going for a scenic hike on the ranch? Star will be more than willing to show you the way. Would you like to spend some time lounging about the landscaped yard? Well, Star will make sure that you never bore. A game of sticks will certainly be on her agenda. 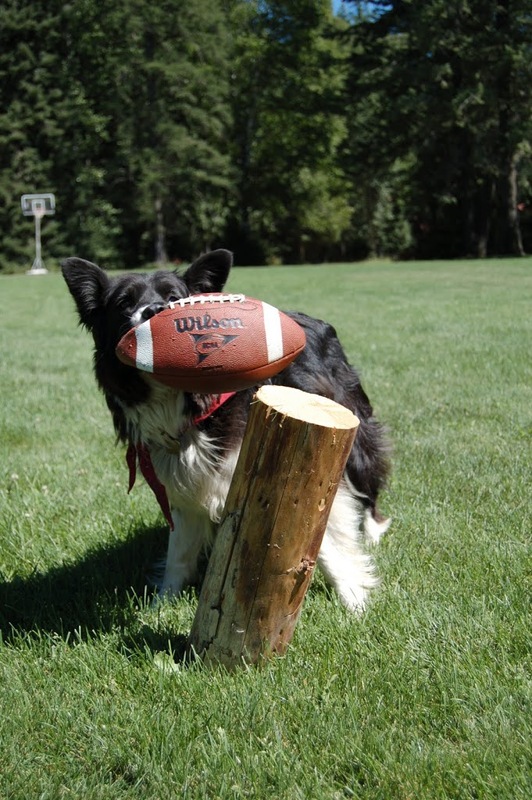 Star’s version of sticks may be a little different from what you have played with other dogs. First of all, she always has to have the perfect “hiding spot” to crouch in while you throw the stick an d to return to after retrieving her stick. This hiding spot may or may not be near your location. Second, you mustn’t throw the stick too far, because, remember, she is almost 13 years old and doesn’t enjoy running about to retrieve her sticks. Thirdly, you mustn’t throw it in the wrong spot or she will simply wait for you to retrieve it and throw it again in the correct direction. Don’t worry. If this seems confusing to you at all, Star is sure to have you trained by the end of your visit. As the cold weather sets in, Star prefers to spend her time indoors. You will often find her curled up on one of the couches when she thinks no one is looking. I think she looks forward all week to when the quilting ladies arrive on the weekend. Not only do they provide her entertainment, she is allowed to stay inside with them most of the day, and often spends the nights with them in the cabins. Star has become a living legend here at the ranch, ranking up there with Tulip the Goat (another story for another time). Star receives more fan mail and gifts than anyone else at the ranch. 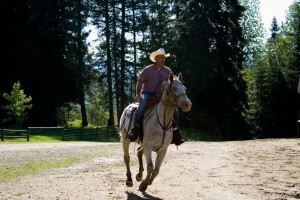 Guests make return visits to the ranch, often, because of Star. Year after year, the legend of and love for Star grows. After traveling and estimated 17,664 trail miles in all her summers and 6,856 sleigh miles in all her winters at the ranch, for a total mileage of 24,520, she is still going strong. So the next time you visit the ranch, be sure to give Star an extra rub behind the ears; a small gift for her years of service to all those who have enjoyed their time here at the ranch. 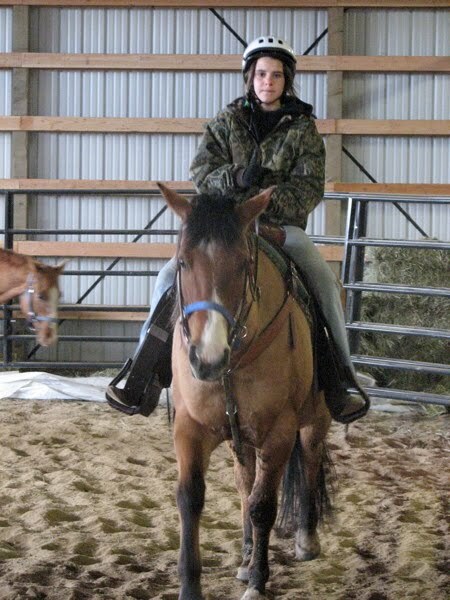 It has been 70 days since I last rode a horse. One thousand, six hundred and eighty hours since I have sat astride the most magnificent beast ever to walk the earth. One hundred thousand, eight hundred minutes since I have been grounded. For many people, this period of time off a horse’s back is of no consequence. For me, it is becoming torturous. 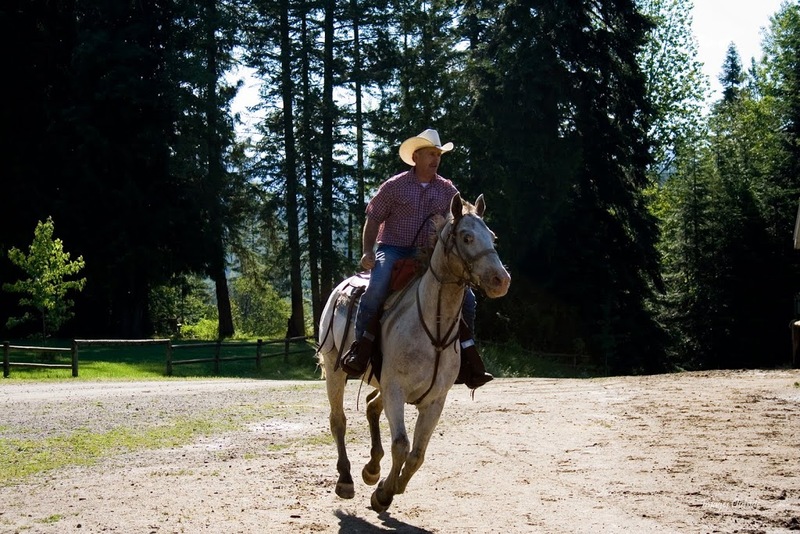 During the third week of September, the ranch put on an adult horsemanship clinic. For the duration of the week, I found myself in either the office answering phones or in the kitchen cooking meals for our guests. All the other employees at the ranch were outside on horseback. As the week drug on (for me), I became more bitter by the day. By the end of the week I was not the most pleasant person to be around. 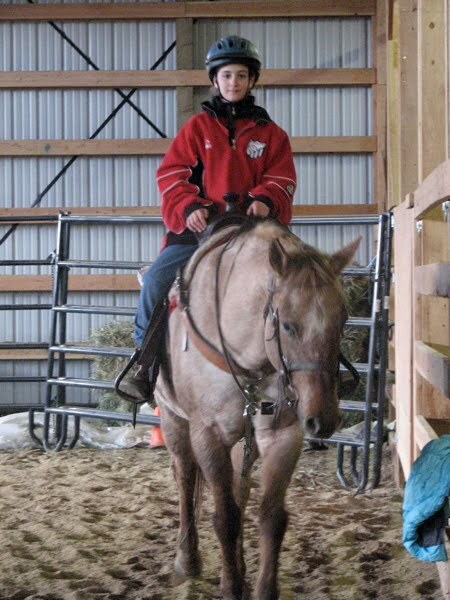 I wanted to be outside riding my horses. But, no. 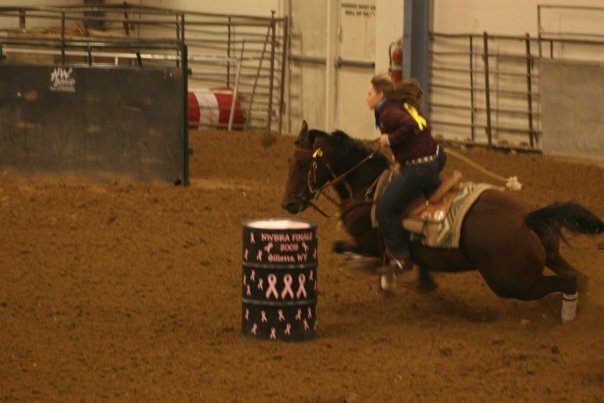 I was almost 8 months pregnant and no one was letting me get anywhere near the back of a horse, especially my father. I am now 38 weeks pregnant; just 2 weeks away from giving birth to Landon and my first wonderful little girl. I have recently begun planning for my first ride. Hopefully I will be horseback no more than three weeks after our little one is born. To those of you who are getting in the last rides of the season before winter hits, please take advantage of these beautiful Fall days and take a ride for me. As a wrangler, I really appreciate the quality of horses at the ranch. From a 13.2 hand tall pony to the gentle giant draft horses, they are all a joy to work with. 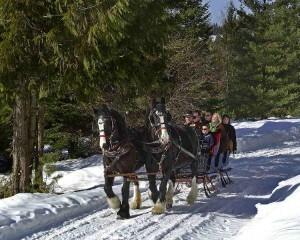 Those horses ridden by our guests are the saddle horses. This group consists of 31 Quarter Horses, Paints and Appaloosas. 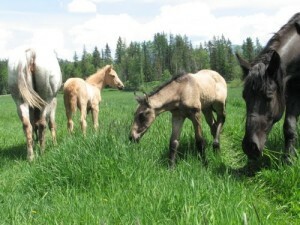 A few of these, Reed, Checkers, Chance, Blue, Dusty, and Sinco, are still young and in the training stage. 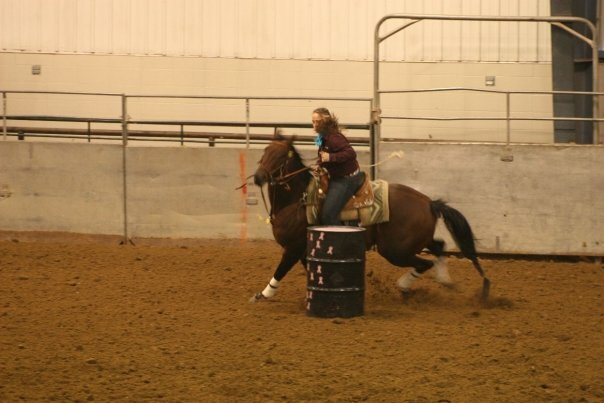 These six are ridden primarily by the ranch wranglers. 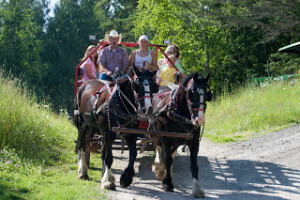 The other 25 horses are enjoyed by our guests in every season excluding winter. entertainment no matter the season. These giants are great workers, whether pulling the wagon or sleigh. Another super fun thing about four of the drafts; Bill, Larry, Justice, and Selma, is that, unlike many draft horses, they are able to be ridden. Nothing else compares to setting astride that much power! Their movement is so unique from that of a stock horse. We are hoping to have a couple of them going well enough for guests to ride next summer. Our youngest horses are the half siblings, Pearl and Duke. Both are 1½ years old and will begin some light training this fall. 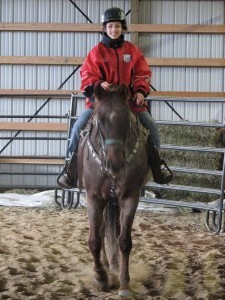 Since Duke is half Percheron, and huge, he may get some saddle time before the fall is over. Pearl is a more normal sized variety of Appaloosa. I am looking forward to seeing both of them going under saddle, but I am especially excited about Duke. It is always thrilling getting new horses, and I am especially excited about the new additions this fall. 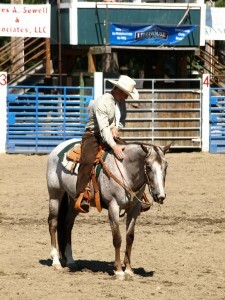 “Zippers” is a big, 11 year old, roan Appaloosa mare that the ranch purchased from Mary Snedden. 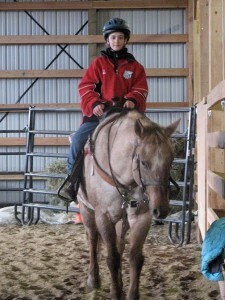 Zippers was trained to a highly competitive level in Western and English Pleasure. Roley (my dad) has ridden her in two horse shows this fall and did extremely well. I have recently been “grounded” from riding due to my pregnant belly so I am especially excited for next spring when I will be able to begin riding Zippers in preparation for the summer show season. The newest addition this fall does not actually belong to the ranch; she belongs to me. I purchased “Lil Horse” about a month ago and unfortunately, because of my “grounded” status, I have not been able to ride her. My mom, Janice, has however, taken her on a couple rides. “Lil Horse” is a 10 year old, 13.2 hand tall, Pony of America. My hope is that after a summer of me riding her on trails and teaching horse camps she will become an excellent children’s horse. 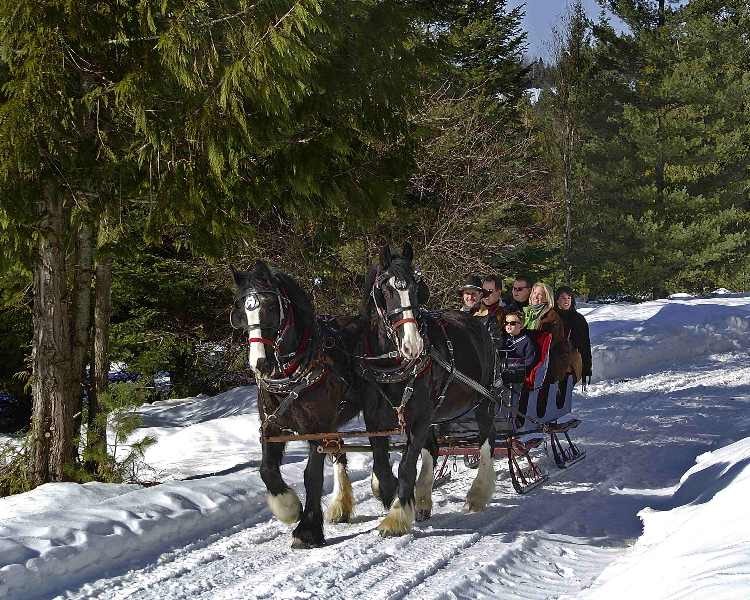 If you haven’t had a chance to see or ride some of these amazing steeds, be sure to stop by for a ride before the snow flies or a sleigh ride when winter sets in. One of the Western Pleasure Guest Ranch wranglers, Sammi Jo Carter, recently competed in the North West Barrel Racing Association Finals October 8-11 in Gillette Wyoming. The most thrilling part of her week, it seems, was not the speed, the adrenaline, or the “turn and burn” attitudes. The most heart pumping part of her trip appears to be the ride home. The weather was not very favorable with snow, wind, and black ice. While her crew held back in Gillette, some people tried to press on into the snowy night. The result was two flipped and one jack-knifed horse trailers. As I write this, it is 3:00pm on Tuesday the 13th, and Sammi is still making her way back to Sandpoint very slowly and cautiously. Congratulations Sammi from all of us here at WPGR!